So far, we’ve been looking at Prince’s Dirty Mind as a singular, cohesive work–which, in fact, it was: easily his strongest and most consistent artistic statement to date. But part of what made it so impressive is that according to Prince, it was never really intended as such. When he began recording in mid-1980, his goal was not an “album,” but a batch of demos: the same kind of home recordings he’d been making since 1976. The resulting tapes were “just personal songs that I wanted to have,” he told the Los Angeles Herald Examiner after the album’s release, a fact to which he attributed their immediate, “up-front quality” (Wilen 1981). Like many of the stories Prince told to reporters circa 1981, there’s an air of myth to his claim that the songs on Dirty Mind were originally deemed too raw for public consumption; I’m inclined to believe him, however, if only because his home studio in Wayzata, Minnesota sounds like the last place one would choose to record a major label album. “The house had a lot of problems,” recalled Don Batts, who worked as Prince’s ad-hoc engineer and studio tech at the time. The mixing console, Batts told biographer Per Nilsen, was “rammed up against a table.” The tape machine, an Ampex MM-1100, was “held together with baling wire and patches, and on a regular basis had numerous tracks that weren’t functional simply because it was that raggedy.” Most dramatically, the drum booth was partially flooded from a nearby cesspool, resulting in a “constant drain of water” on the tracks (Nilsen 1999 67). “I Don’t Wanna Stop” is historically significant for a couple of reasons. According to Prince Vault, it’s both the first Prince song recorded by another artist without his input and the first song removed from print at his request; it doesn’t take much of a leap in interpretation to conclude that these two facts are likely related. 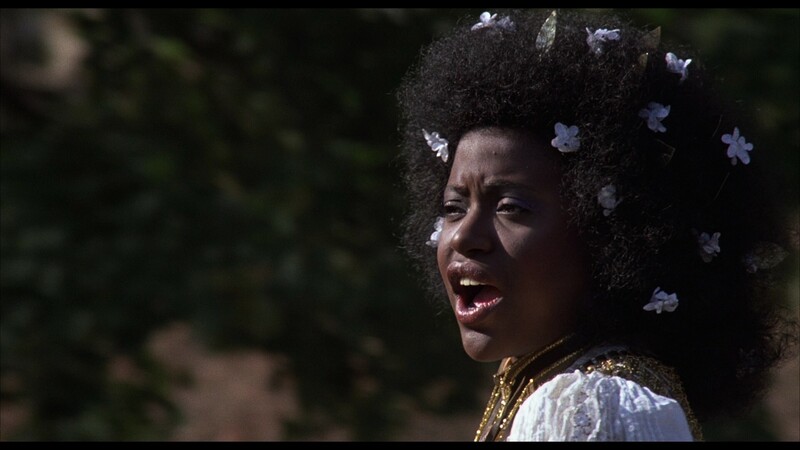 But the song itself isn’t half bad: ably sung by Ren Woods, an actress/singer best known for her roles in the 1977 television version of Roots and the 1979 film version of Hair , it’s recognizably a product of Prince circa 1980. Woods, of course, doesn’t make quite the hay the songwriter would have made of his lyrical conceit, which slyly compares the emotional grip of a passionate love affair to the more physical grip of…well, you know. But the implication is still there, as much in the rhythmic friction as in the winking references to wanting “something else to do.” Strip away Woods’ brassy vocals and the busy disco arrangement by producer Chuck Jackson–best known for his equally-busy late-’70s work with Natalie Cole–and it isn’t hard to imagine it as a solid outtake from the tamer half of Dirty Mind. Prince’s problem with the song, one suspects, is that such a feat of mental deduction was necessary in the first place. By 1982, the year Woods’ version of “I Don’t Wanna Stop” was released, Prince was hard at work building up from Dirty Mind’s stark minimalism on his own terms: 1999 , his album from that fall, sounded like a transmission from a cyberfunk future. Jackson and Woods, on the other hand, were stuck resolutely in the past: the embellishments they add to the song are almost hilariously “Seventies,” from the tres-disco bass runs to that goddamn saxophone solo. When Prince demoed “I Don’t Wanna Stop” in 1980, he was deliberately going out on a limb, a mad scientist sequestering himself in his laboratory to invent the future of Black music. It makes sense, then, that two years later, just as the fruits of his labors were starting to break through to the mainstream, he’d want to distance himself from something as pedestrian as the final recording. But if the original version were ever to leak (hint, hint, NPG and/or bootleg labels! ), I think we could have a buried gem on our hands. Thanks, everyone, for your patience in this longer-than-usual gap between posts. We have some exciting things coming up, including the return of our even-longer-delayed podcast. See you again soon–I promise! I can see why he wanted it pulled, definitely overproduced “disco extraordinaire”… I looked back at Ren’s album cover what struck me is how much more naturally ethnic she looked…kinda sad so many African American artists had to “caucasianize” to be accepted, including Prince himself, almost a denial of who you are…not sure if things have gotten any better or worse in this regard. Love and peace! Wow, constant water from cesspool flooding drum booth. My naive imagination pictured easier recording conditions. On a happier note, seems like lots of women found a voice in Prince penned songs. I think Ren Woods was pretty well known as a young teen singing with Sunday’s Child. Like Prince, she was born in 1958. Having your drum booth in a cesspool is so punk, though! And yes, I noticed that about their age–interesting coincidence! ” Drum booth in a cesspool is so punk…” LOL…true, very true. Gwen Mattison — Glad you mentioned Ren’s natural look. She’s beautiful, isn’t she?